At a base village in a Rocky Mountain basin of golden aspens, you load your bike into a gondola at 8,432 feet above sea level. At 11,325 feet, you take in the dramatic alpine scenery of 14,000-foot peaks in every direction. You roll over scree and drop into a Gravity Logic-built downhill trail with 6-foot berms and floaty tabletops as you descend for almost 3 miles to treeline. 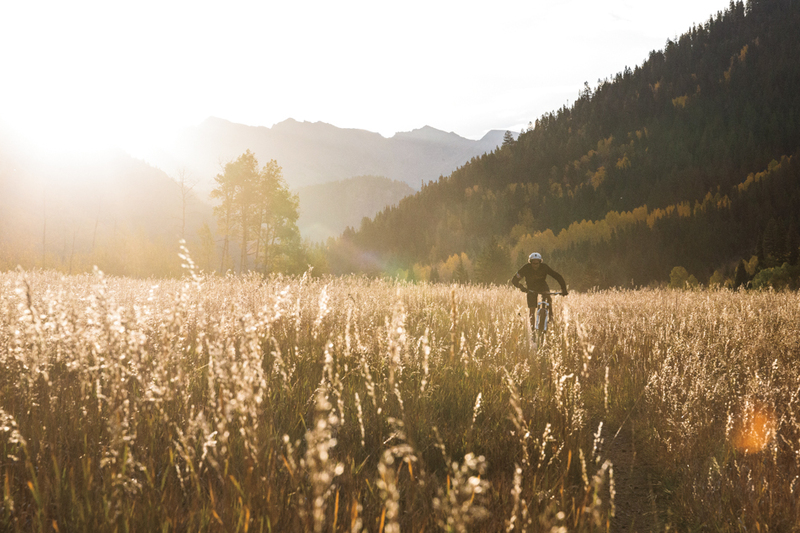 You leave civilization behind as you catch a cross-country trail and pedal for 6 miles through evergreen stands, aspen groves and gilded meadows. Technical rock sections and multiple stream crossings maintain your focus. You pick up speed as you traverse and descend a smaller ski area and slow as you negotiate a series of drops. Eleven miles in, you hit a bike path that runs the length of the valley and cruise into an historic mining town with an award-winning brewery, world-class restaurants, live music and a fun-loving outdoor community. This is all possible in a little place called Aspen, on the classic Snowmass-to-Aspen via Government trail ride with some extra credit in the Snowmass Bike Park. When mountain bikers think Colorado, they think Crested Butte. Or Fruita. Maybe Durango or Steamboat Springs. Aspen rarely makes the Top 10 lists of best bike towns or iconic trails. Maybe it's a misunderstood reputation for snobbery (for every swanky hotel, there are a dozen free camping zones), maybe it's the area's former lack of signage, low-grade climbs or purpose-built trails. 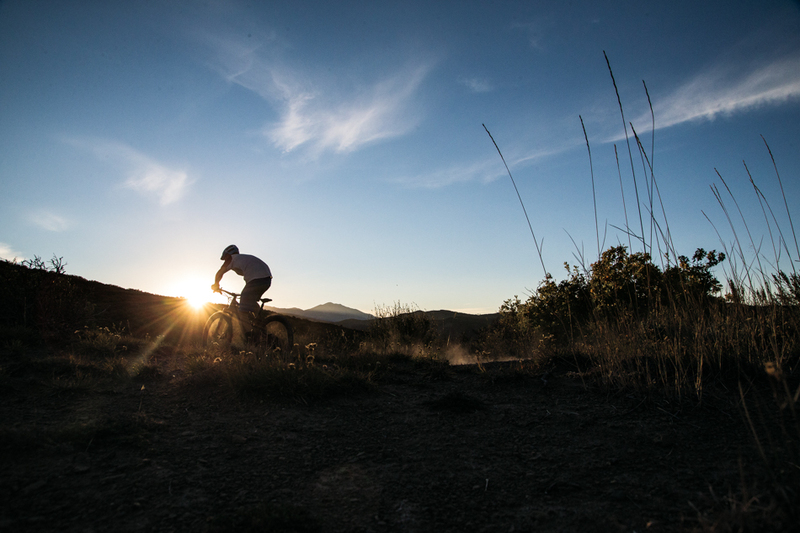 It's a mystery to members of the Roaring Fork Valley's passionate mountain bike community, who enjoy better weather (drier than Crested Butte, cooler than Fruita and Durango, damper than Steamboat and Salida), empty trails and more diverse terrain than its Rocky Mountain neighbors. "For mountain biking, Aspen is the unpolished gem of Colorado," says Jack Boyd, 29, the youngest board member of the Roaring Fork Mountain Bike Association (RFMBA) and co-founder of Tuesday Cruiseday, a weekly cruiser ride around Aspen that draws up to 300 people in peak summer. From technical desert slickrock in Carbondale to 4,000-foot-vert lift-accessed runs at Snowmass to new purpose-built trails a short pedal from downtown Aspen, the valley's offerings satisfy every riding style and season. The local town series offers more races than any other mountain town in the state and the area hosts world-class events like this summer's Enduro World Series stop at Snowmass. And thanks to dedicated trail stewards and incredible cooperation between local public lands stakeholders, including the U.S. Forest Service, Bureau of Land Management, three counties and multiple cities, towns and villages, Aspen is experiencing a true golden age of trail development. In the upper Roaring Fork Valley, between Snowmass and Aspen, more than 28 of the 136 miles of singletrack were built in the last five years. Connectors and extensions are bringing a once-fragmented network of bandit trails, mining roads and bike paths into one user-friendly, purpose-built system that could bolster Aspen's bike reputation to match its winter-destination status. Most of the area's new trails are made possible by Pitkin County Open Space and Trails purchasing three pieces of land in the last decade (with funding from the City of Aspen, Town of Snowmass Village, Aspen Skiing Company and numerous grants): Smuggler Mountain Open Space near downtown Aspen, Glassier Open Space in mid-valley and Sky Mountain Park Open Space. The latter represents the biggest area of new trails in the valley and a dramatic shift in the local mountain bike demographic, formerly dominated by tough-as-nails older guys like Charlie Eckhart, a die-hard cyclist who regularly wins the overall season title for the Aspen Cycling Club (ACC) race series. "You see couples, grandparents and parents with little kids and groups of Brazilian tourists," says Eckhart of Sky Mountain Park. "You never used to see that. These new trails, in tandem with bike technology, are drastically increasing our local mountain bike population." Spanning a sun-drenched, high-desert ridge of scrub-oak and sagebrush between Snowmass and Aspen, Sky Mountain Park so far includes six new machine-built trails that shed water quickly and lure beginners and intermediates with 7-percent climbs, buff trails and views from the Elk Mountains to the Collegiate Peaks. Deadline–the downhill flow trail with giant berms, rollers, tabletops, drops and a couple of doubles that can be gapped at speed–is a must-ride and a coveted Strava segment. Last year's Aspen Cycling Club race at Sky Mountain Park was its most popular of the season, drawing 80 racers–many of them newbies–to the start line, all because of Sky Mountain's friendly flow trails. 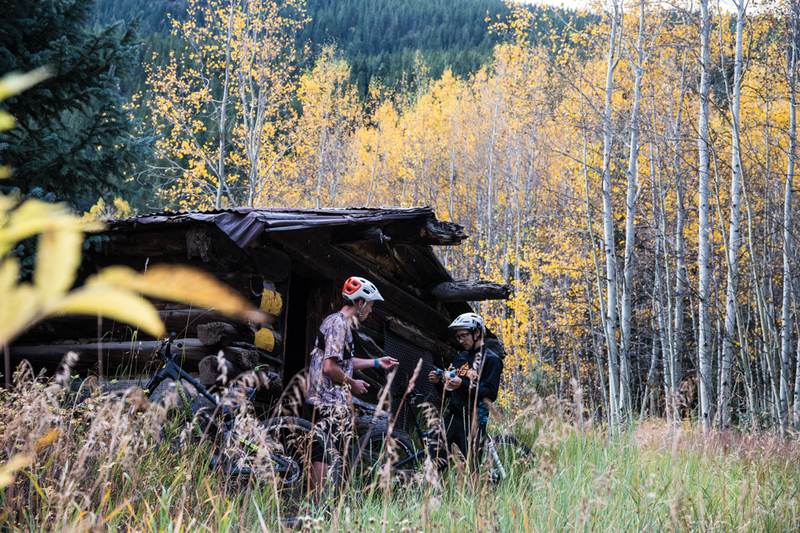 With its ethos of trail maintenance and stewardship, the ACC sits at the core of Aspen's mountain bike community. Founded in 1988, the ACC hosts 18-20 Wednesday-evening races each summer that alternate between road and mountain and welcome everyone from 80-year-old Jacques Houot to road pro Tejay van Garderen and part-time Aspenite Lance Armstrong. Racing without traveling is a luxury Aspen's competitive sect appreciates. And now, with events like the 33-mile point-to-point Power of Four race that climbs and descends Aspen's four ski areas and the 40-mile Grand Traverse race from Aspen to Crested Butte, even endurance masochists can compete in their backyard. 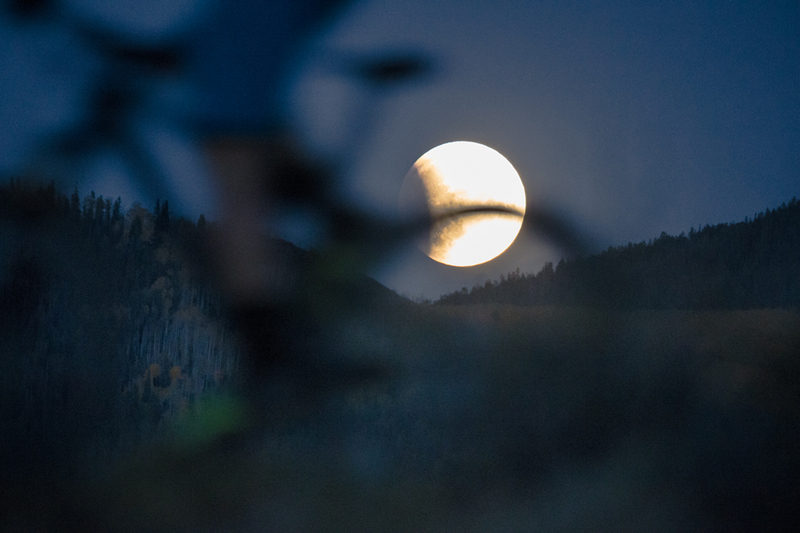 Perched above Aspen, the lush, dark-timbered Hunter Creek Valley still offers the old-school trails that pioneering locals pushed their 40-pound machines up in the '80s on what they called "Blood and Mud" rides or all-day sufferfests like the 38-mile Aspen-to- Basalt Arbany-Kittle trail. But new routes like the 2-mile, machine-built Hummingbird Traverse and the volunteer-built Lollipop trail extension, both of which opened last summer, are eliminating doubletrack climbs and increasing the length and fun factor of its descents. It's still all accessed via Smuggler Mine Road, a brutal warm-up for flatlanders, but even that's set to change within two years–the time frame within which RFMBA wants to earn its IMBA Ride Center Gold status. "We're valuing the great classic trails that we've inherited from previous eras, while planning for a trail system that offers wider experiences for a broader ridership," says RFMBA president Mike Pritchard. This summer, more than 400 competitors will ride courses in Aspen and Snowmass during the only U.S. stop of the Enduro World Series in 2016. A major consideration for Big Mountain Enduro, the event host, is vertical. "One thing that makes Colorado and Aspen so unique are the big descents and the scenery," says Brandon Ontiveros, executive director of Big Mountain Enduro. "The big mountains make for long stages–substantially longer than other stops." Snowmass' race history goes back 15 years to NORBA Nationals, but the 3.5-mile Valhalla downhill trail, built by Gravity Logic in 2012, revived the gravity scene. The Snowmass Bike Park's master plan includes another 13 miles of lift-served downhill trails, jump lines and skills centers. And the Snowmass cross-country trails are expanding this summer to link the entire valley, from cacti-studded Sky Mountain Park to verdant north-facing Snowmass Mountain and the Mancos Shale of the exposed Rim trail, in a 24-mile loop. Down the valley, Basalt will gain much easier access to future trails in the new Glassier Open Space and the 9,100 acres of BLM land that make up the Crown–recently designated a 'special recreation management area,' with an emphasis on mountain biking–when a new, 2-mile machine-built trail goes in this summer. Farther down valley, Carbondale's beloved Prince Creek continues to add trails beneath 12,966-foot Mt. 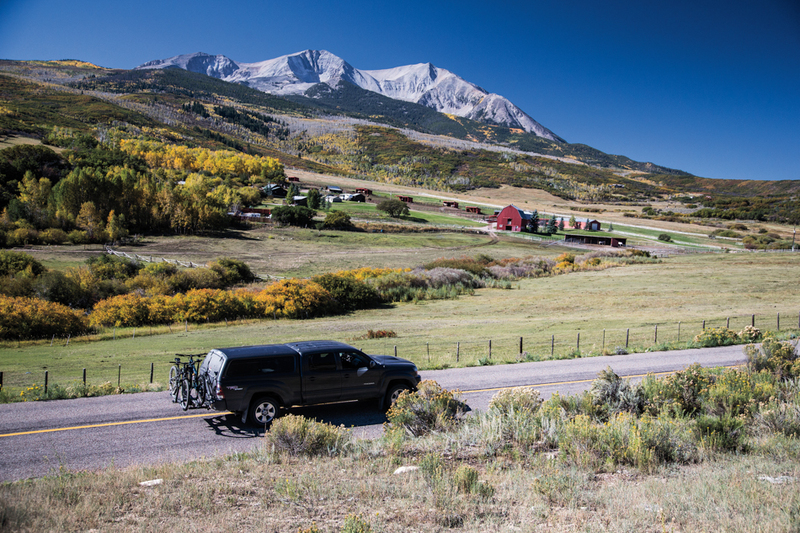 Sopris, like Father of Ginormous, a downhill trail with wall rides, sweeping turns and step-up hips. "It's fair to say that we're in a golden age," says Pritchard. "But it's also exciting to realize that there are more high-quality trails on the horizon." STAY | The bike-in/bike-out Limelight Hotel in Aspen has its own cycling team, offers complimentary cruiser bikes and hosts après-bike specials in the lounge every day. Colorado residents enjoy cheap off-season rates. In Snowmass, try the affordable Snowmass Inn, Wildwood Snowmass or a surplus of AirBnB condos. Thirty minutes down the valley, the new Element Basalt hotel offers complimentary bikes and custom trail maps. Camping options abound throughout the valley. DRINK | The Aspen Brewing Company is owned by a mountain biker and offers $15 pitchers of microbrew every afternoon (this summer try the brand-new Silver City Ale). The historic Red Onion is an Aspen staple for beer, food and live music. For delicious post-ride "boards" of everything from roast chicken to charcuterie, try Meat & Cheese. In Snowmass, the New Belgium Ranger Station and Base Camp serve all of Colorado's best beer, right off the trail. GO | Carbondale's riding season extends from late April into November. Aspen Snowmass trails are usually ridable May-September, and often well into October. July brings wildflowers and fewer afternoon thundershowers than August; September usually means bluebird days and, if your timing is right, peak fall foliage. Winter fat biking access and race opportunities are increasing (RFMBA.org). MTBproject.com is the best resource for trail info. For Snowmass Bike Park, check Aspensnowmass.com for lift ticket pricing and dates/hours of operation.